History Comes Alive in Muskegon! 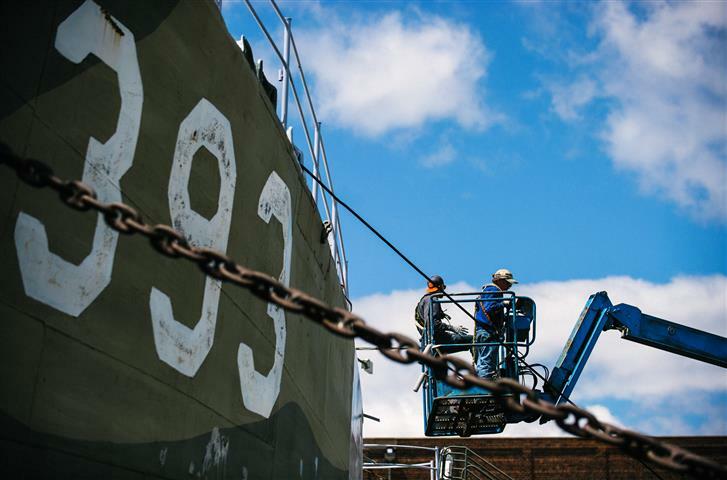 Tour one of the last two Landing Ship Tanks (LST) of the 1,051 built during World War II. Marvel at state-of-the-art technology circa 1942. See the uniforms, weapons and equipment of the men who rode LST 393 to invasions of Sicily, Italy and D-Day in France. 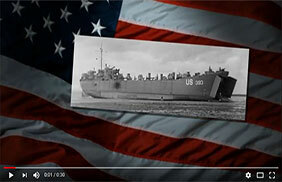 Learn about the amazing vehicles of war carried by the LSTs and the aircraft that attacked and protected the fleets. Schedule your own historic event. LST 393 can be rented for weddings, meetings and special events. The museum is now closed for the 2018 tour season. It will reopen 4-27-2019. 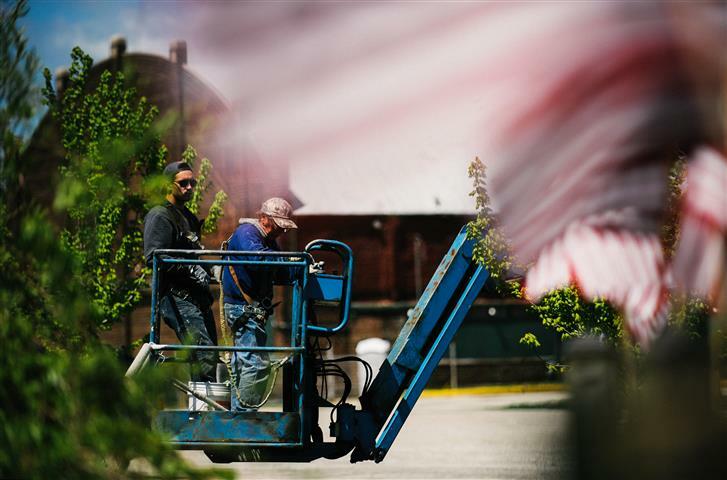 Muskegon’s most successful veterans commemoration is ramping up to mark the 75th anniversary of the D-Day invasion on a ship that was there. "D-Day Plus 75" May 31-June 1 will be the fifth commemoration sponsored by Rolling Thunder Michigan Chapter 4 veterans support group at USS LST 393 Veterans Museum on the Muskegon waterfront. It will feature two full days of fun, food, flying, dancing and a chance to honor those who served and sacrificed. Friday is a full day of activities honoring veterans and educating visitors about the realities of World War II. And it ends with a swinging "USO Style" dance that featured the award-winning Reeths-Puffer High School Jazz Band. 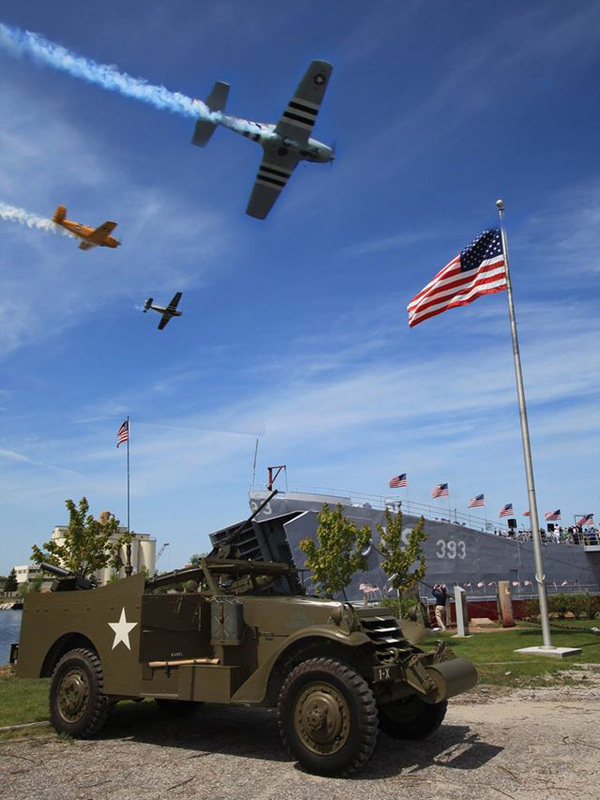 Saturday is highlighted by the exciting "Air Raid Muskegon," where World War II reenactors fire hundreds of blanks at authentic Warbirds to "defend" the historic warship. The popular Do Good Gals conduct a family-friendly 1940s "pin-up" fashion show. Dozens of reenactors displayed uniforms, weapons, vehicles and their knowledge of the roles of those who served in World War II. Plans are for tours of a restored Vietnam War-era river patrol boat, a "PBR." which is still in the process of being restored. Registration at the link below helped us provide the best viewing experience for everyone at the free event. 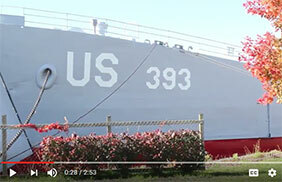 Contribute to the preservation of USS LST 393. You can now make a donation to the LST 393 Veterans Museum with any major credit card using our secure Paypal payment form.